Baton Rouge cop killing plot? BATON ROUGE -- Police have arrested and identified three young people who they say plotted to kill Baton Rouge cops using guns stolen from a pawn shop, officials said Tuesday. Law enforcement said at a Tuesday press conference they believe it to be a substantial and credible threat on police officers in the Baton Rouge area. 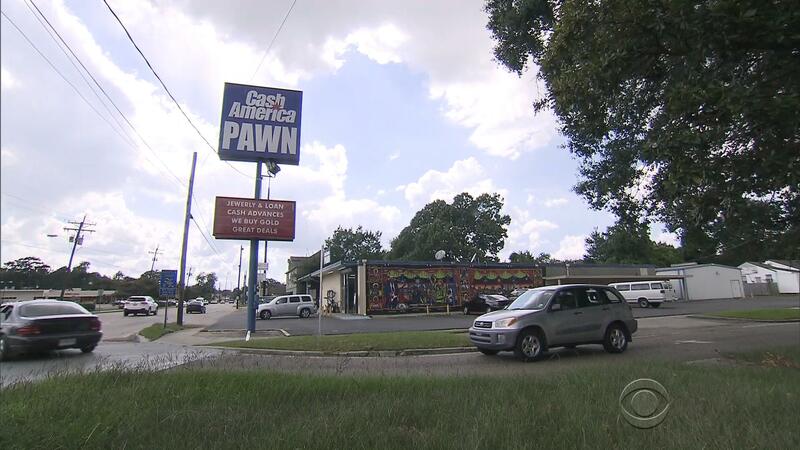 Police arrested 17-year-old Antonio Thomas, 20-year-old Malik Bridgewater, and a 13-year-old juvenile in connection with the burglary at the Baton Rouge pawn shop, CBS Baton Rouge affiliate WAFB reports. A fourth suspect could still be at large, according to the station. Trashone Coats, 23, was charged with Illegal Possession of a Stolen Firearm, according to the Baton Rouge Police Department. WAFB reports that Coats was released Tuesday. The burglary at the pawn shop, which is in Baton Rouge, happened early Saturday morning, police say. WAFB reports that police believe the suspects broke in through the roof. Officials said eight handguns were stolen. Six guns have been recovered, and two are still missing, police said. Seventeen-year-old Antonio Thomas was arrested at the shop after an "alert" Baton Rouge police officer responded, police said. The suspect was carrying a handgun and a BB pistol, Baton Rouge Police Chief Carl Dabadie, Jr. said Tuesday. That suspect told police the suspects were "looking for bullets" for the handguns in order to harm police officers in the Baton Rouge area, Dabadie said. Surveillance footage showed the alleged burglars breaking into the pawn shop through the roof using a ladder, WAFB reports. "We took this as a very viable threat," Dabadie said. Bridgewater was arrested at his home, and the juvenile was arrested Monday and charged with burglary and theft of a firearm, Baton Rouge police tell CBS News. One of the suspects allegedly told police that the planned attack was in response to the death of Alton Sterling, who was shot and killed by police on July 5, WAFB reports. Sterling's death has spurred days of protests in Louisiana, and led to a federal civil rights investigation. Police are looking for an additional potential suspect, and ask that he or she turn themselves in. They have not yet identified the possible suspect. On Monday, a raid was conducted at a Baton Rouge home in connection to the case, WAFB reports. The Bureau of Alcohol, Tobacco, Firearms and Explosives assisted police in the investigation.